Beloved, I don’t know what the devil have impregnated you with from January till now, when you suppose to laugh, you cry, when you suppose to celebrate and dance you mourn and lament . Listen to this my beloved reader, Jesus told his disciples of how a man sowed good seed in his field: but while men slept, his enemy came and sowed tares among the wheat, and went his way. But when the blade was sprung up, and brought forth fruits, then appeared tares also. Hear what he answered his servants; he said unto them, An enemy hath done this. I tell you, today enough is enough, all the joy, peace, happiness, that God has given you, today you will deliver them all, no more delays, all the stolen glory will be restored now, in Jesus’ name, Amen. What exactly do you want to have, what do you need, and what are you looking for? Ask your heavenly father now He will grant your heart desire so that your Joy may be full. Hitherto have ye asked nothing in my name: ask, and ye shall receive, that your joy may full. John 16:24. I declare in your life in this month of September, all the enemies plan in your life shall not stand neither shall it come to pass, thus saith the Lord. Isaiah 7:7. Amen. Listen my dear reader, whether you like it or not, see there are times we barriers ourselves from God’s blessing in our lives through the words that we speak and then make ourselves venerable for enemies to attack. 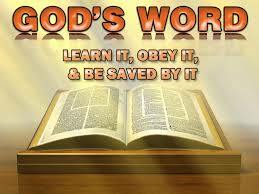 Proverbs 6:2 thou art snared with the words of thy mouth, thou art taken with the words of thy mouth. That’s why I said weather you like it or not weather the devil like it or not ,hear what God is saying in Isaiah 48:11 “for mine own sake, even for mine own sake, will I do it: for how should my name be polluted? And I will not give my glory unto another.” Your time to celebrate has arrived! God will answer all your prayers and people will marvel at the mighty works of God in your life. When the LORD turned again the captivity of Zion, we were like them that dream. Then was our mouth filled with laughter, and our tongue with singing: then said they among the heathen, the LORD has done great thing for them. Psalm 126:1-2. 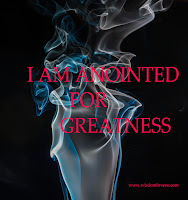 Greatness is your portion. It is your time to manifest. I declare every garment of shame, every evil veil spread to cover your life, your glory, I command the fire of God to consume them in Jesus’ name, Amen. Our God is a consuming fire. Hebrews 12:29. Whatever may stand to judge against your victory, promotion, saying you are not qualified; I scatter them with the Blood of Jesus. Amen. People will see you from Glory to Glory and celebrate with you! And the LORD said unto Satan, The LORD rebuke thee, O Satan; even the LORD that hath chosen Jerusalem rebuke thee: is not this a brand plucked out of fire? And he answered and spake unto those that stood before him, saying, take away the filthy garments from him. And unto him he said, Behold, I have caused thine iniquity to pass from thee, and I will clothed thee with change raiment. Hmmm, have you been laughed at? Mock? The enemy have decree an unrighteous decrees against you? Yes the artist had taken the old soldier’s place and borne his burden, play his music, and end his livelihood. Beloved, a enough is enough, there is time for everything, your time for hardship, lamentation, depression, rejection, reproach, ridicule, shame, casting down, demotion, God has set a bound that they may not pass over in Jesus’ Name, Amen. O earth, o earth, hear ye the word of God. Jeremiah 22:29. My beloved reader, so the Lord Jesus came down, finding us in spiritual poverty. In his Grace He took our place, provide for our need, paid our debt and put heavenly music in our hearts. What a Glorious God we Serve!!! CONGRATULATIONS MY DEAR BROTHERS AND SISTERS!!! Happy weekend to you all..
Go and Dance......an infinite music in Jesus' name. Amen. Amen. Powerful words from above. Great inspiration. Once again Congratulations Miram Ezeka in your Celebration!!! Arise and shine for thy Light has come!! I will continue to sing and dance. God is Awesome for not failing me and my family. He will continue to do so forever. Thanks for sharing this post. God bless u! Thanks dear. May God continue to give you the wisdom you need to carry on. I think I noticed u missed a word in one of the prayers "
I declare in your life in this month of September, all the enemies plan in your life shall stand neither shall it come to pass. Amen. Isaiah 7:7. Amen"
Abi na me no hear english? I declare in you life in this month of September, all the enemies plan in your life shall not stand neither shall it come to pass, thus saith the Lord. Isaiah 7:7. Amen. thank you very much dear, I appreciate. the Zeal of the LORD will perform it.